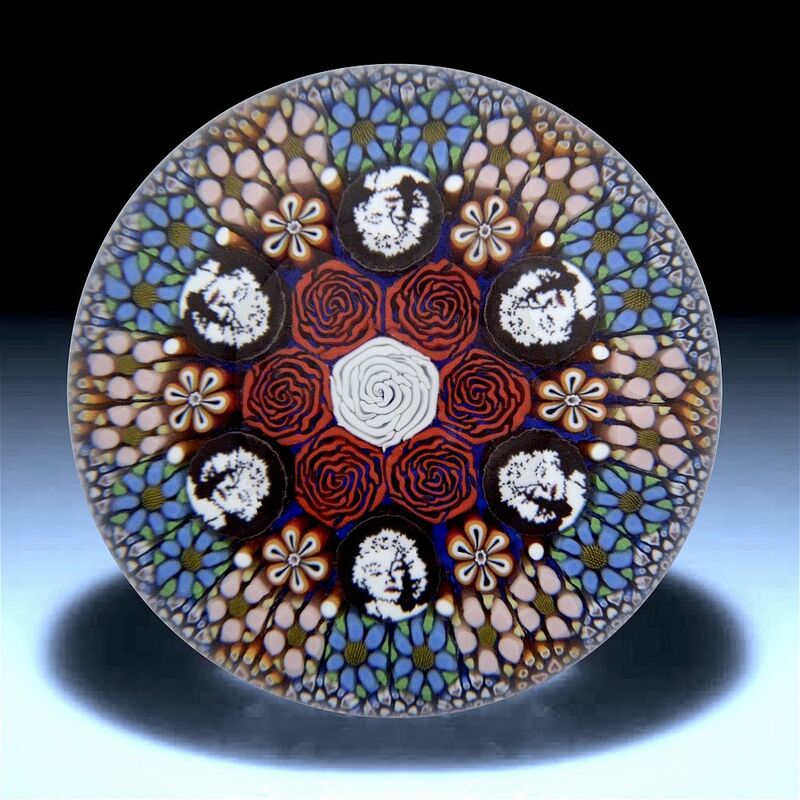 Another very dramatic concentric paperweight made by Michael Hunter for Twists Glass in 2016. 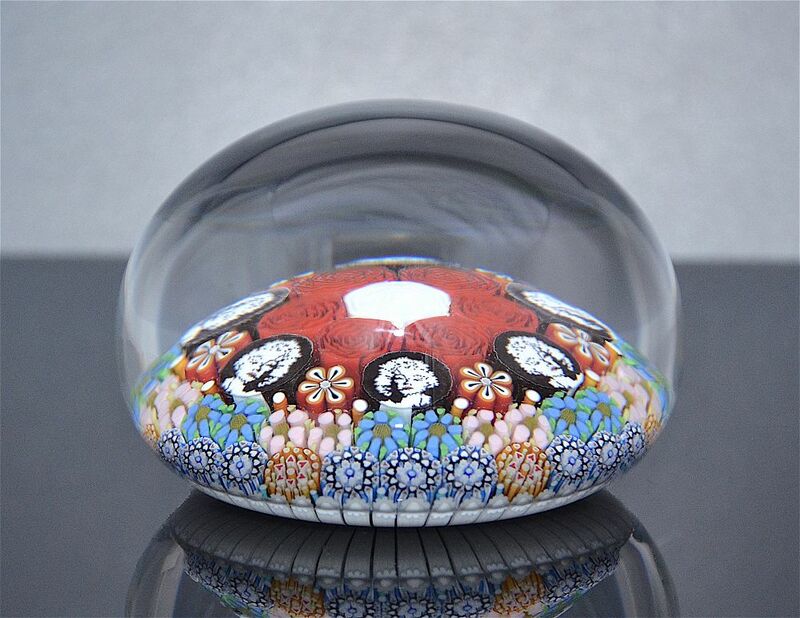 The centre murrine cane is a white rose surrounded by a ring of 6 red rose murrine canes. Around the red roses are 12 canes being 6 Marilyn Monroe pictures canes alternating with 6 red & white flower murrine canes. The next ring is 24 complex murrine canes, being 12 blue flowers grouped in pairs alternating with 12 pink flowers also grouped in pairs. The final outer ring comprises 24 complex murrine canes being 18 blue & white and 6 red & white alternating 3 blue & white, 1 red & white. The base is scratch signed "M Hunter Twists 16 1 of 1" and has Mike's personal "MH" signature cane and the Twists Glass studio label. Boxed in a white presentation box.